Since the service’s launch roughly three years ago, users subscribing to VMedia’s IPTV platform — television delivered over the internet — required a special set-top box, as well as a specific VMedia internet subscription. Starting September 16th, however, VMedia is launching a dedicated Roku app in Canada, allowing users to stream 20 live television channels, including content from both Canadian and U.S. networks like, CTV, CBC, Global, ICI, TVA, V, CBS, NBC, ABX Fox and PBS, all in high definition. The service is available via a free seven-day trial with a regular subscription costing $17.85 per month. VMedia says that the subscription requires no contract, hardware installation or credit check. You also don’t need VMedia internet to subscribe to the platform’s skinny bundle, which includes local networks like the CBC, CTV, Global, NBC and CBS. To access larger packages with cable channels like Sportsnet, due to regulations and contracts with providers, a VMedia internet subscription is required. VMedia says it now has 20,000 customers across Ontario, Quebec and western Canadian provinces. 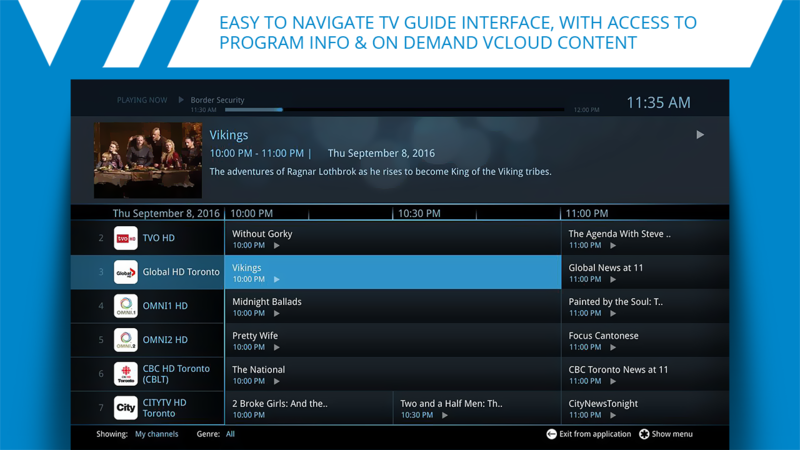 While VMedia landing on the Roku is a great move by the company, launching multiple apps with similar design language across platforms like the Xbox One, PlayStation 4 and even the new Apple TV, would have even more impact for Canadian cord cutters.